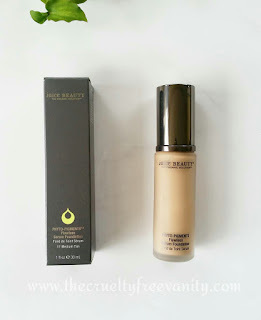 Looking for a subscription service that focuses on cruelty-free & natural brands, who also offers medium to full-size products (3-6 to be exact) and has a great value? Bare Element might be the answer to all your needs. I personally have no problems with getting samples in boxes but I know most people want full or bigger sizes. Bare Element is a fairly new service that is getting a lot of attention in the green beauty community. I was lucky enough to get my paws on the February box, which happened to be fully vegan, yay! This service is not a fully vegan service but offers lots of vegan products in their boxes. They may feature non-vegan products that contain honey or beeswax from time to time. The value of their boxes is way over what you pay, the Feb box had a $88 value and the box is $49.99 per month. It might sound a bit pricey but considering that you are getting bigger sizes of natural products, that is not a bad deal. I also love how each box has a good balance between each category, makeup, skincare & body. I did an Insta Story unboxing for this box, but if you missed it here is what was in it. I love Zabana Essentials they make awesome vegan products, it was no surprise that I loved this scrub. My favorite kind of body scrubs are the ones that have salt, smell delicious, are not overly oily but are moisturizing enough to skip having to moisturize after. This one has everything I love in a scrub, it scrubbed away the dead skin leaving my skin soft. 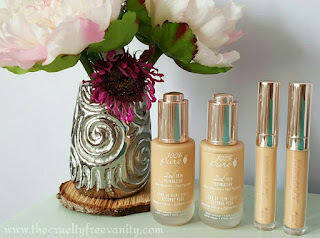 Elate makes great natural makeup, and I'm a fan of their moisturizing lipstick formula. Plus their eco-chic bamboo packaging is beautiful. 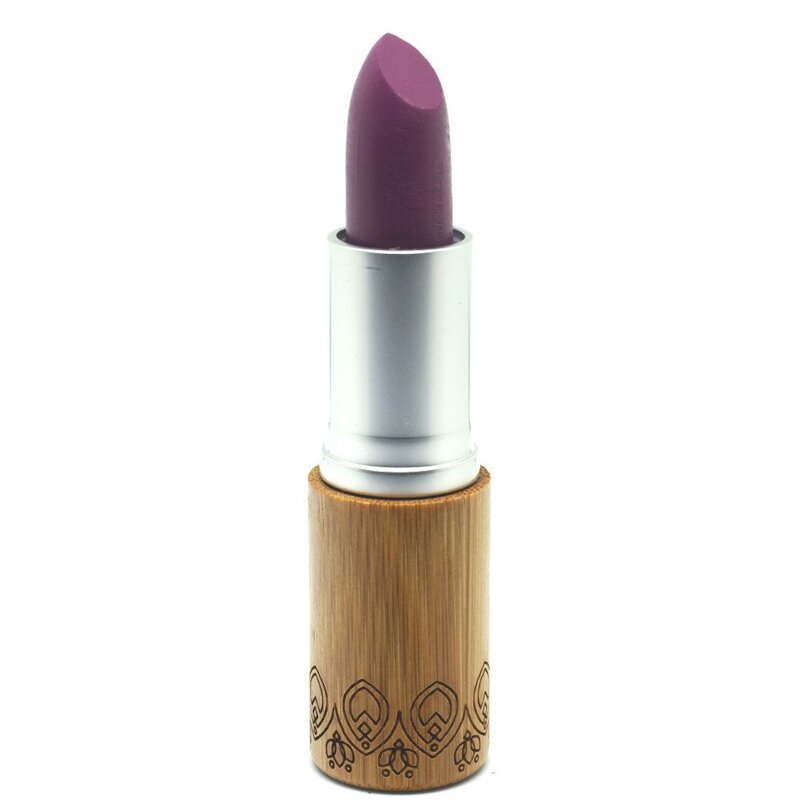 This lipstick shade is perfect for spring, described as a punchy pinky purple. 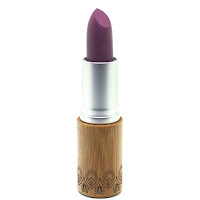 I'm a sucker for lipstick so anytime a sub box features a vegan lipstick, I'm a happy camper. This fizzy cube smells so good, I will be saving this one for my next vacation. This toner is quite nice, I've been really enjoying it. Since this one did not come with a spritzer I do have to use this with a cotton round. I might have to transfer it into a bottle that has a spray because I do prefer spraying on my toner. It looks like the one on the Luxe de Mer site does come in a 8 oz spray bottle. I've been using it day and night for a few days now, so far I like it. Even though it has organic rose, it doesn't have a strong rose scent. I think the tea tree oil and witch hazel overpower the rose scent. So if you are not a fan of rose scented products this might be good for you. I can really appreciate that it has tea tree oil, my skin benefits a great deal from products that have tea tree oil. 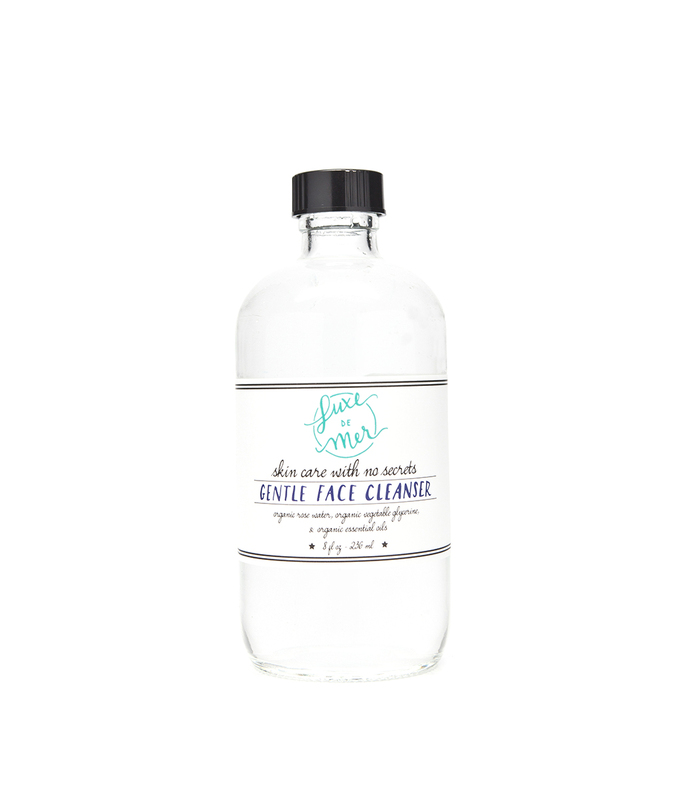 I have already tried this cleanser in the past and was very pleased with it. It's a good gentle cleanser, one that you might want to use a cotton pad or a towel with. 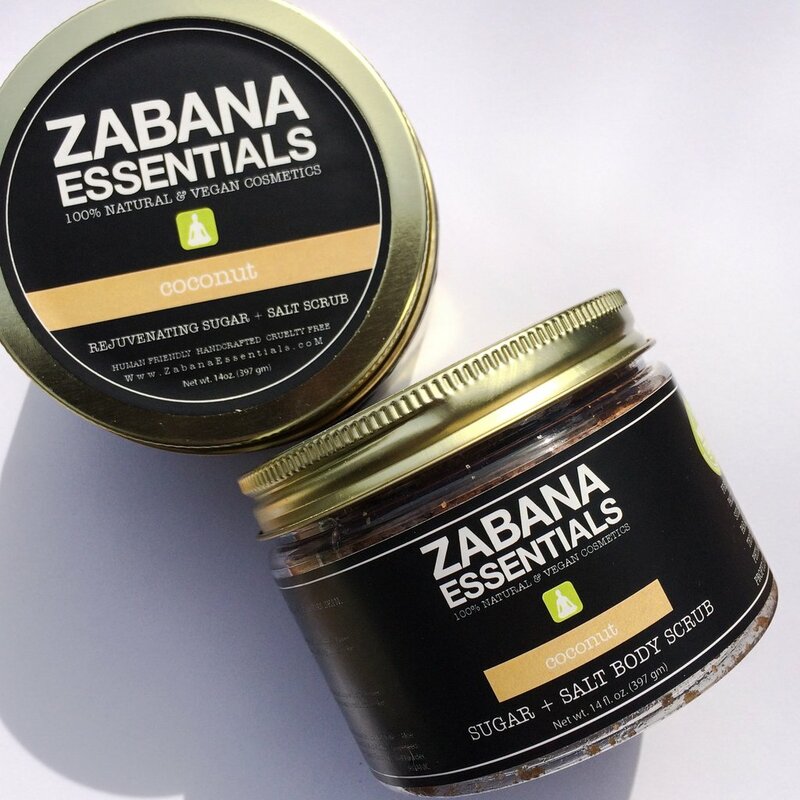 It gives a gentle cleanse without any suds which can be stripping at times, perfect in the morning to remove anything left behind from your night skincare routine. I have been really liking cleansers like this one lately. Overall, this is a wonderful box full of amazing products. Perfect for someone who loves natural products or someone who is new to green beauty but wants the full experience in a monthly service. I don't have a discount code for you, but I know Andie from @andiethegreenqueen and Erika from @erikasumers22 each have one. I believe you get 10% off with using their names "Andie" or "Erika" Hope that helps. P.S Remember to shop Cruelty-Free! *PR sample was provided for reviewing purposes, all thoughts/opinions are honest and my own.